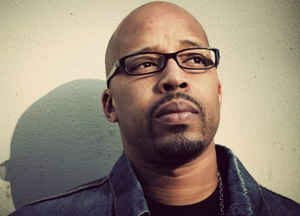 Warren G grew up in Long Beach, California listening to his parents’ collection of jazz, funk, and soul, nurturing a deep love for music. In 1990, he formed the group 213, named after the Long Beach area code, with his friends Nate Dogg and Snoop Dogg. (The area code in Long Beach, California was later changed to 562). While practicing with 213, and working a full-time job, the young Warren used all his free time creating his own sound and aspired to make it big. The trio 213 dissolved when two of its members signed with Death Row Records. Throughout his early solo career, Warren G worked with artists like MC Breed and 2Pac, but his big break came when his vocal collaboration with Mista Grimm, on “Indo Smoke”, appeared on the Poetic Justice soundtrack (1992). Warren’s outstanding rap led to a serious collaboration with his stepbrother Dr. Dre. Dedicated to hard work, that same year, Warren G made major contributions to Dr. Dre’s album The Chronic (released in December 1992), including sampling for “Nuthin’ but a G-Thang”. Worldwide recognition as a solo artist came immediately after Warren G dropped the smash hit “Regulate”; a duet with Nate Dogg, which topped the charts in 1994. The accompanying album Regulate…G Funk Era (1994) went triple platinum with “This D.J.”, becoming Warren’s second Top 20 hit. The album sold four million copies worldwide, with three million of those sold in the US (certified 3x platinum). Had Warren G signed with Death Row, he would have been one of the label’s biggest selling acts at the time. 1994 would also see Warren G doing a track with former NBA Slam Dunk Champion and NBA All-Star Cedric Ceballos on B-Ball’s Best Kept Secret, a rap album with tracks done almost exclusively by early 1990s NBA players. He would score a #2 hit on the UK singles chart with Adina Howard with “What’s Love Got to Do With It”, from the soundtrack album to the movie Supercop (1992). Warren G’s second album, Take a Look Over Your Shoulder (1997, Reality), features two singles: the hit “I Shot the Sheriff”(US #20, UK#2), a gold single in the US; and “Smokin’ Me Out” (US #35, UK#14). However, with the G-Funk sound declining in popularity in America by this time, the album only went gold, selling just over 500,000 copies; a far cry from the 3 million sales of his debut CD. Together with the Norwegian superstar soprano Sissel Kyrkjebø, Warren G had a hit in several European countries with “Prince Igor” on the concept album The Rapsody Overture (1998). The album combined American rappers with European opera singers. Sissel sang an aria from Borodin’s opera Prince Igor (first performed in 1890)during the chorus, while Warren rapped the lyrics from his song “Reality” off “Take a look over your shoulder”. Warren G had signed to the independent label Restless Records by the release of his third album I Want It All (1999). The album offered a jazz-rock fusion style and featured a host of guests including Snoop Dogg, Mack 10, Kurupt, and Eve. The first single, “I Want It All” (US #23), sampled the song “I Like It” by DeBarge and went gold. Second single “Game Don’t Wait” peaked at #58 on the US R&B Chart. The album was certified platinum in the US. For his fourth album, Warren G returned to major label distribution; Universal Records released his The Return of the Regulator (2001). The album had one single released, “Lookin’ at You”, which peaked at #72 on the R&B singles chart. By 2004, Warren G, Snoop Dogg, and Nate Dogg had reunited their group 213 and released the album The Hard Way on TVT Records, which contained the single “Groupie Luv”. The song topped at #48 on the R&B chart. The album, however, peaked at #4 on the US Top 200 Albums chart, and was certified gold. Warren G released his next new album, In the Mid-Nite Hour October 11, 2005. In December 2005, he signed with UniqueInc LTD (UK); the UK & Éire, Craze Productions of London did the digital distribution and sales on mobile and online, and Hawino Records did the same for the North America release. That year, Warren G also appeared on the reality television show Celebrity Fit Club. In 2006, he produced the theme song for Ice Cube’s TV show, Black. White. On March 22, Warren G made a song called “Mr. President”, addressing the 2008 presidential candidate race and encouraged everyone to vote. He also appeared in Celebrity Rap Superstar as a mentor. Three of Warren G’s albums have featured a song by 213: “Game Don’t Wait”, which appeared on his third album I Want It All. “Yo’ Sassy Ways” appeared on his fourth album The Return of the Regulator; and “PYT” appeared on his fifth album In the Mid-Nite Hour (2005). In 2009, he released his sixth studio album titled The G Files. After the death of Nate Dogg in March 2011, Warren G released the song “This Is Dedicated To You” to honor his childhood friend and close musical collaborator. The song received positive reviews and continues to perform well. To honor Nate Dogg’s life and work, all proceeds from the sale of this song went directly to Nate Dogg’s mother, family, and charity organization. Although deeply affected by Nate Dogg’s death Warren G has carried on as a solo artist, working on multiple projects, and he has made multiple public appearances to promote various charities and musical venues. Overall, Warren G has sold eight to ten million records. From June to September 2013, Warren G accompanied Baby Bash, Bone Thugs-N-Harmony, DJ Quik, E-40, Mack 10, Suga Free, Tha Dogg Pound, and others on the West Coast Fest tour.